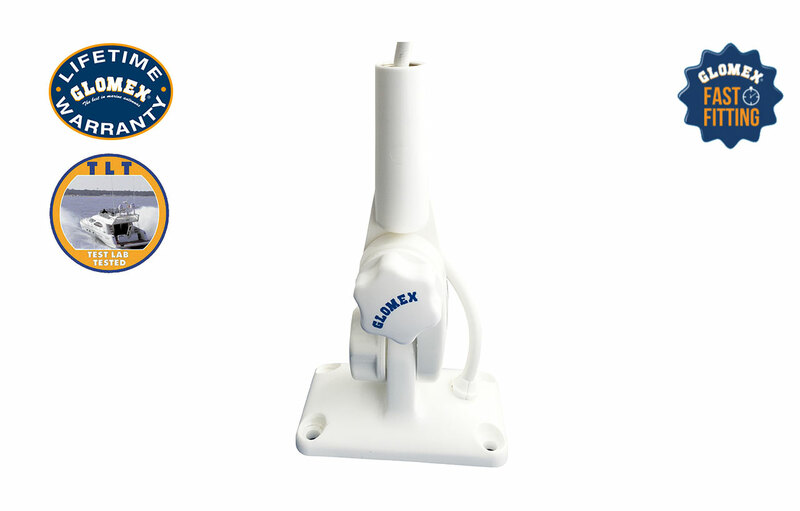 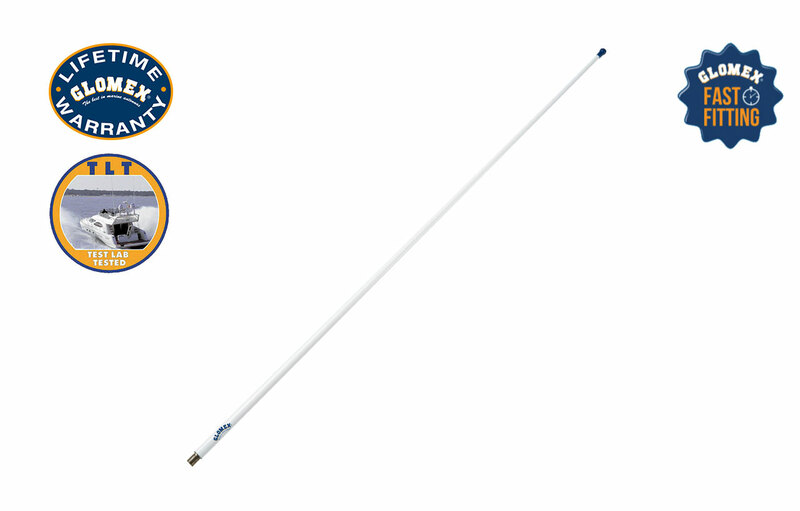 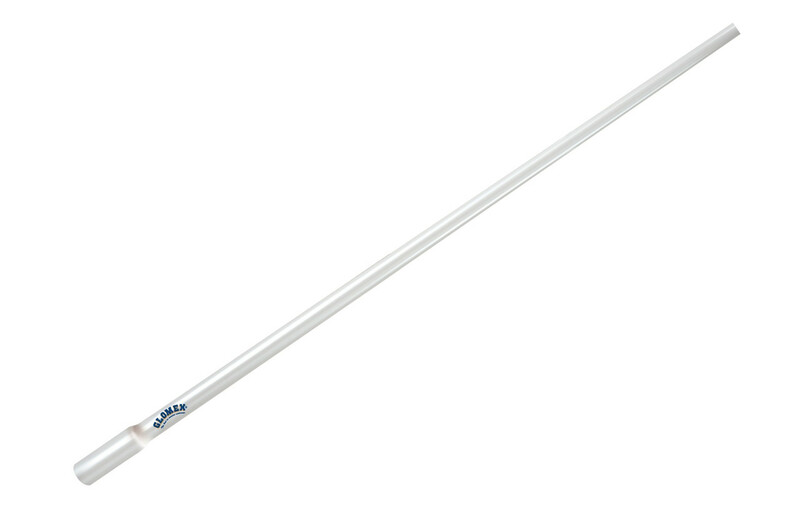 RA106SLSFME • VHF Antennas • Glomex Marine Antennas USA Corp.
Glomeasy line antennas are the new VHF antennas, specifically developed to make life easier for boat owners and, at the same time, ensure the thirty-year commitment to excellence for all Glomex antennas thanks to the attention in care of materials selection and technological research. 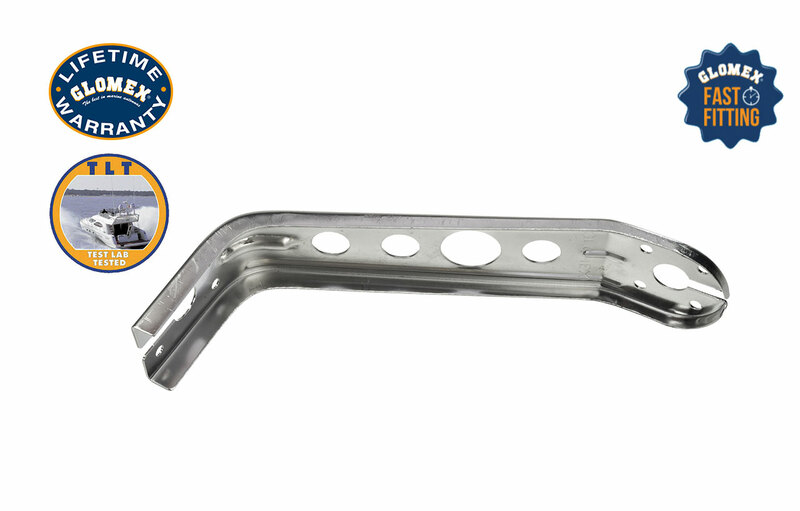 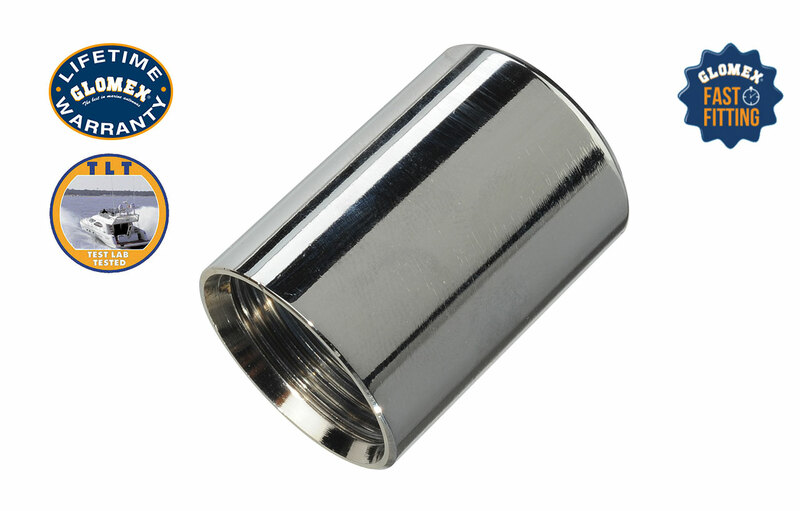 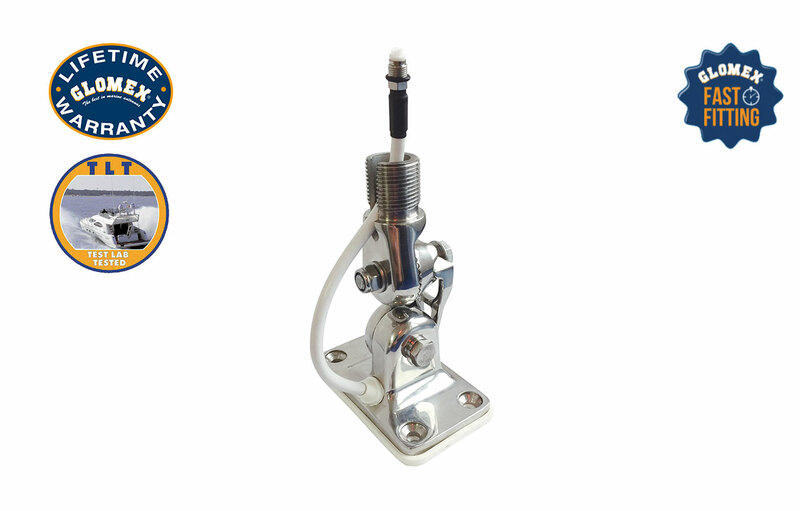 The RA106SLSFME has a rugged stainless steel whip, versatile mounting options, and is ideal for all types of small to medium size sailing and power boats. 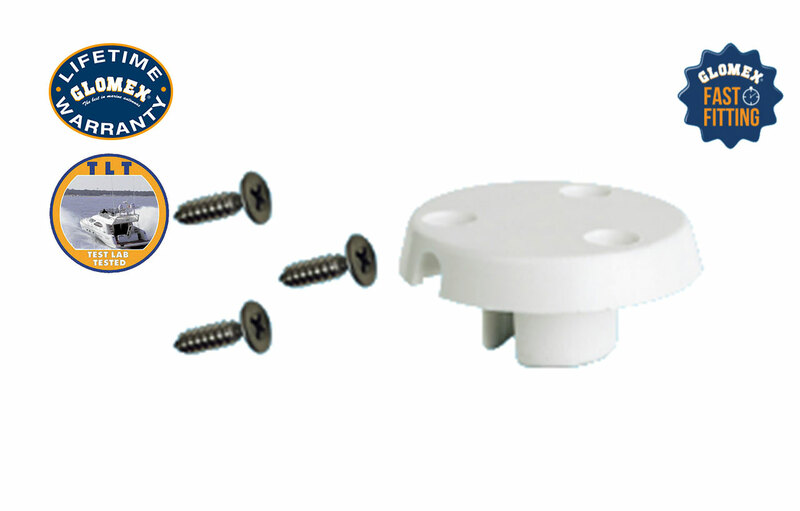 The innovative design of these antennas gives the boat owner great flexibility in the implementation of their VHF system. 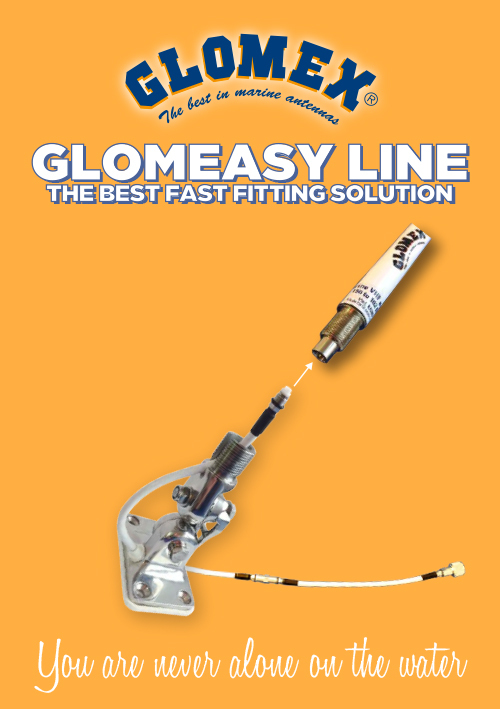 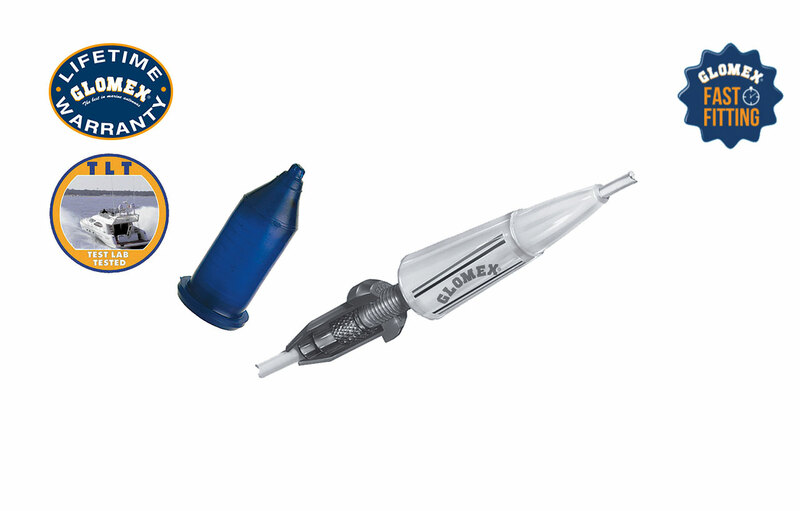 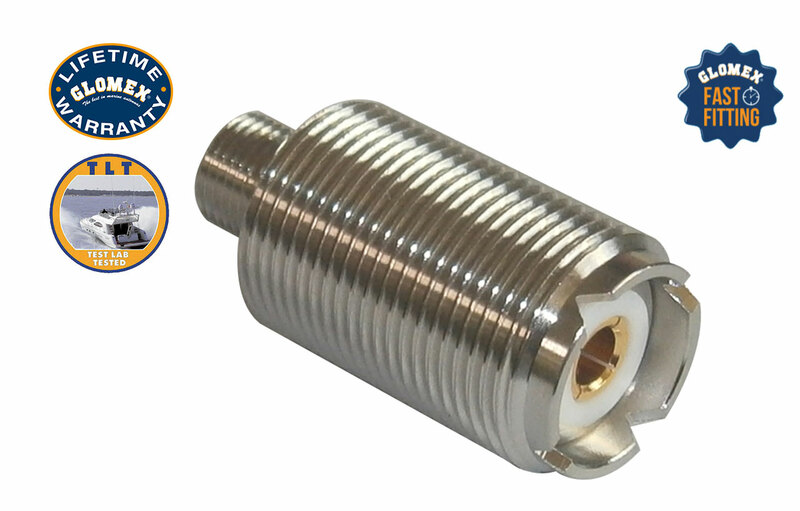 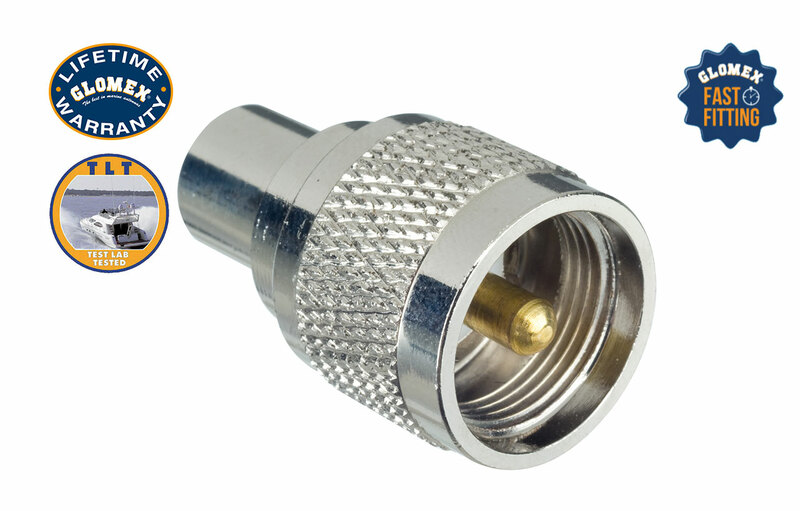 With Glomeasy VHF antennas, antenna installations can be accommodated with different mounts and brackets as well as high quality / low loss coaxial cables offered in various lengths pre-terminated with a special professional and miniaturized FME connector. 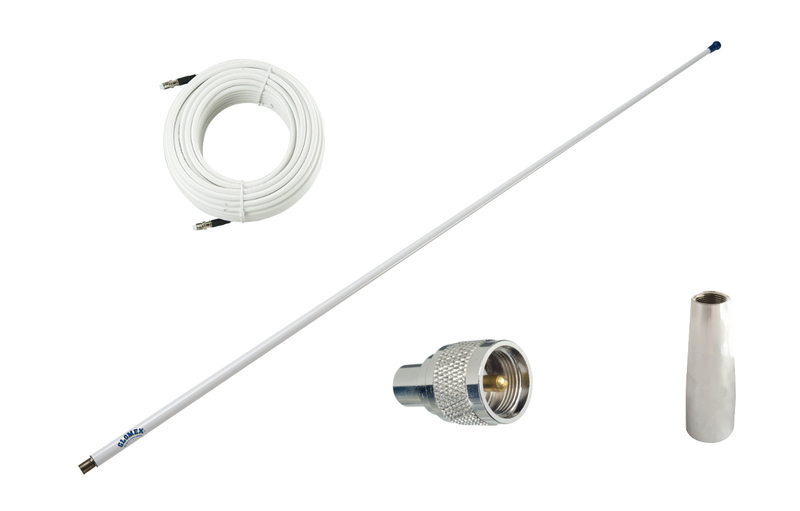 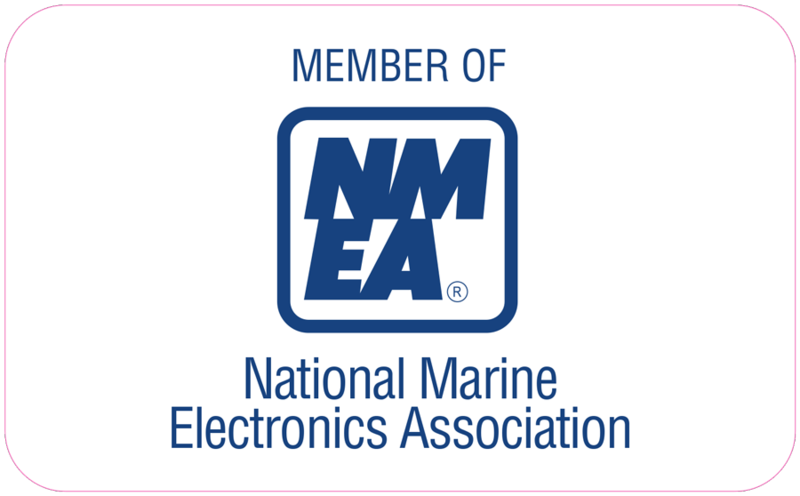 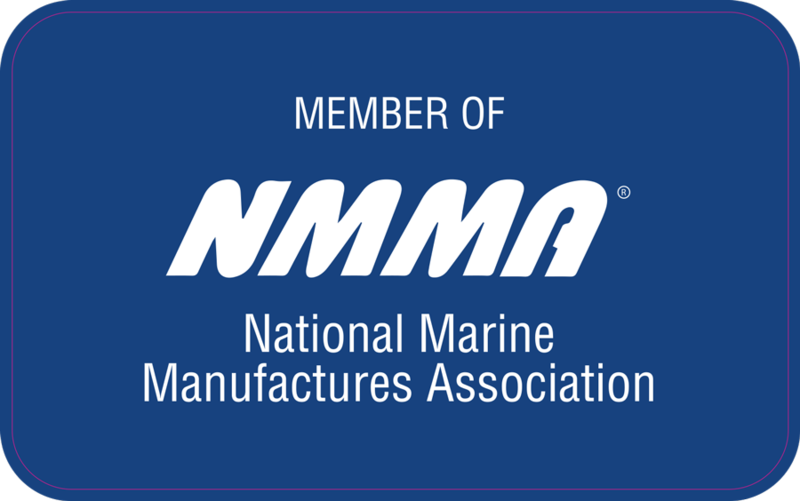 All of this allows the boat owner to have great freedom in the implementation of the VHF system while having an extremely easy and fast installation, thanks to the FME-SO-239 adapter (RA351) and various optional accessories.